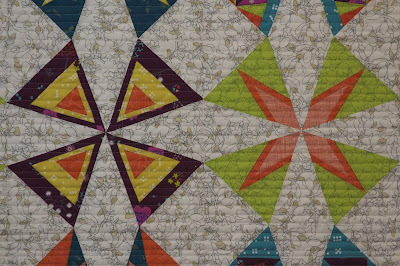 Wow, I can't believe I managed to finish my Kaleidoscope BOM within a month of finishing the blocks. Those that know me know that I'm great at finishing quilt tops, but finishing them is another story. But I'm SO happy with how this quilt came out. It took me a little while to settle on a layout. One tip that I tell people when trying to decide on layouts of quilts is to pull out your camera phone and put it on the black and white setting. Look at your quilt through your camera with that setting and see if you have a clustering of darks, mediums or lights in one area. Move blocks around until you find the right balance. You'll probably have to play around with color placement as well. 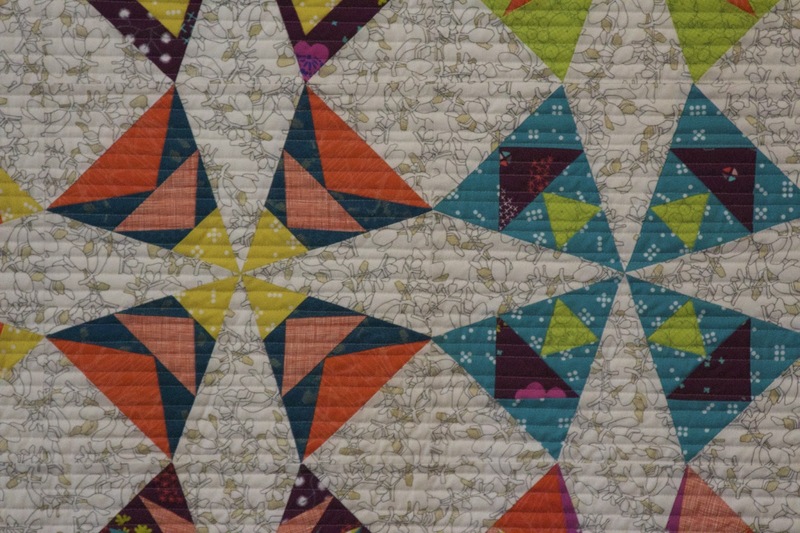 Just remember - you can continue to make changes, OR you can sew the quilt together, quilt it and enjoy your quilt. Anyone that knows me or has followed my quilting journey also knows how much I love some good custom quilting. But because the fabrics were busy and this quilt already had so much going on (and admittedly, I really just wanted it finished), I quilted this with straight lines about 1/2" apart. 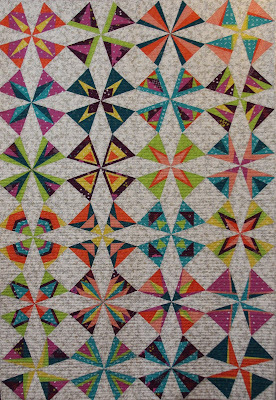 I admit, I really want to try to make a quilt or two just using one block, repeated to see the secondary designs created as a result. All of these blocks are still available on Craftsy as individual blocks. BUT, I also created a pattern with all of the blocks in one place for ease of download and use. Click here to check it all out. For those that followed along with the entire BOM, thank you for joining me. 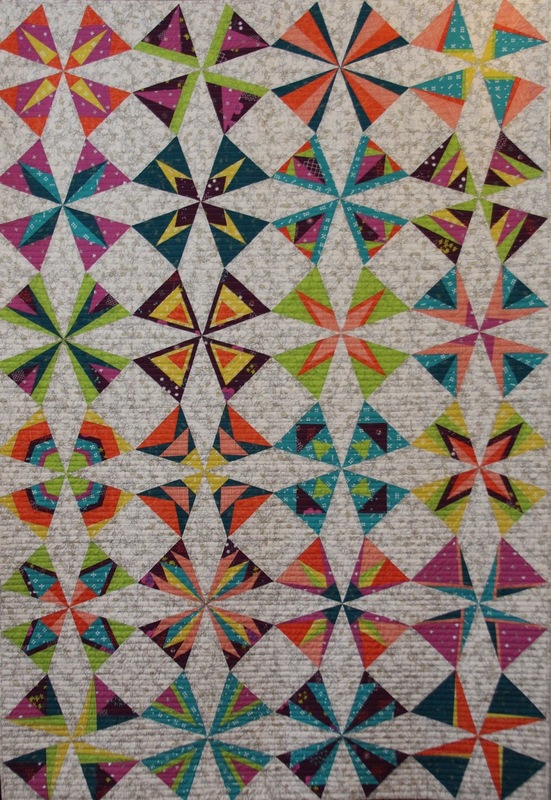 I'd love to see your finished quilts. And if you're just joining now, welcome! 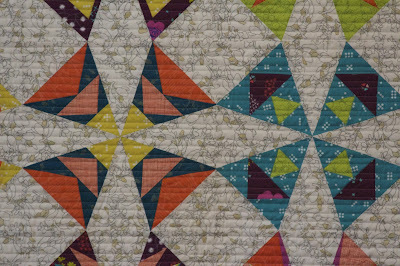 There's never a bad time to start a quilt. Enjoy!